I love quick and fun crochet projects made with a thick yarn in pastel colors. For this one, I was using a Bulky weight yarn in blue and beige. It’s very soft and warm. Perfect for the cold winter days. Because I wanted to achieve nice and tight, but not too tight stitches, I used a smaller crochet hook than recommended on the yarn label. Instead of 7 or 8 mm, 6 mm was my perfect match. How to read the pattern: If the number is written before the stitch 3 hdc work 3 hdc into the same stitch, if the number is written after the stitch hdc 3, work hdc into next 3 stitches. Ch 6. Start in the 2nd ch from the hook. If you would like to create a shoe in more than one color, now is the time to change it. Round 1: Ch 1. Work this round into back loops only. Work 1 hdc into next 26 sts. Ss. Round 2: Ch 1. Sc 7. Hdc 1. Hdc2tog. Dc2tog three times. Hdc2tog. Hdc 1. Sc 7. Ss. Round 3: Ch 1. Sc 7. Hdc2tog. Dc3tog. Hdc2tog. Sc 7. Ss. Round 4: Ch 1. 1 sc in next 17 sts. Ss. Round 5: Ch 1. 1 hdc into next 17 sts. Ss. Round 6: Ch 2. 1 dc in next 17 sts. Ss. Chain 50. Make a small knot on both sides of the chain. Weave in and out of the half double crochet stitches of round 5. Tie in a bow in front. They look so cute even my husband like it and he told me to make for our new grandchild. 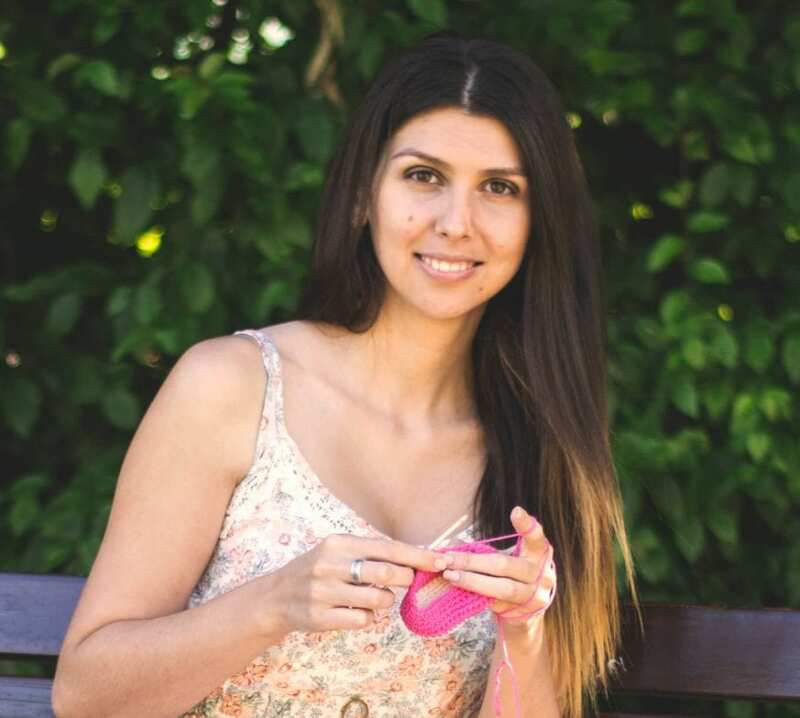 I can knit anything using written instructions but I have never tried crochet using written instructions – only thru pattern diagrams mainly tablecloth, doilies, bags and one simple cardigan ages ago. I’m so excited to discover your site – esp this video. Now the written instructions make sense to me ?. Can you direct me to a page where the crochet instructions can be downloaded? There are two kinds of patterns available on my site. I call them free and premium crochet patterns. 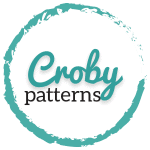 Premium crochet patterns are available as PDF patterns only, but filled with a lot of pictures that can be very helpful during your creative process. You can find them in my Etsy, Crafts, Ravelry and Love Crochet Store (4.99$). I understand what sl is. Slip stitch. What is ss? I want to make tis using regular weight yarn not bulky. How and/or what do I adjust to do this. Looking, can’t find the PDF for sale in your etsy shop (or anywhere). Can you send a direct link or let me know if you took it down? Oh sorry, Julia. I do not offer a PDf version of this pattern (for now). I’ve a question about round 1. In the written pattern you say ‘work in sc into next 26 sts’. But in the video you work with hdc stich. Why the difference? And another question ;). Do I have to turn the sole around, before start the upper? So that the wire is in the insite of the bootie. You make very nice things! I liked to know how to make them bigger . The first pair I made were real small to small new born. Can u help me iam making for my new great grandson coming in Feb.
Hi. I love your pattern, but am looking for 12-18 months sizing and can’t find anything I like except yours. I will happily buy the pattern on Etsy but am looking for instructions on making them bigger. 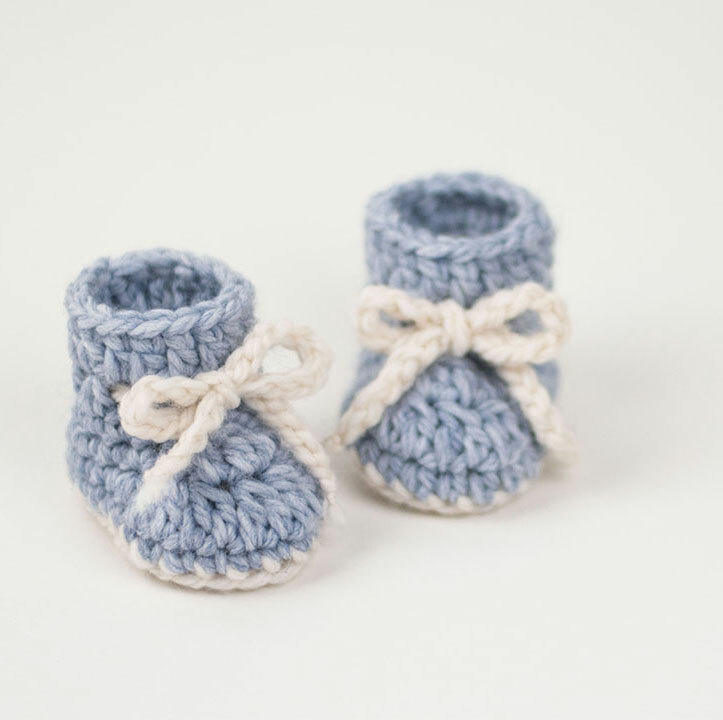 I am brand new to crocheting and want to make these for my daughter who is almost one. will the winter snowflake booties patter fit a six month old baby? Pattern says “worked in rounds” then says “join every row”. Rows or rounds? Where can i find the PDF version?